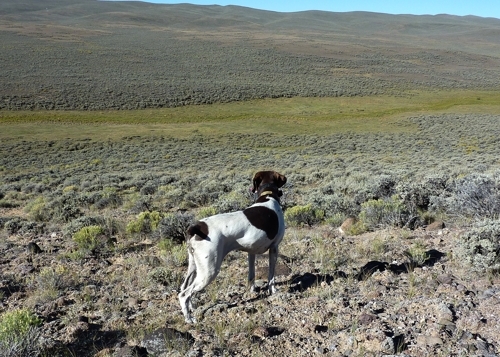 After a skunk on Sage Grouse in North Park we headed for the high country to see if we could redeem ourselves on Ptarmigan. I had never hunted them before and wasn’t sure what to expect. The country where these birds live is magnificent and ruggedly beautiful. 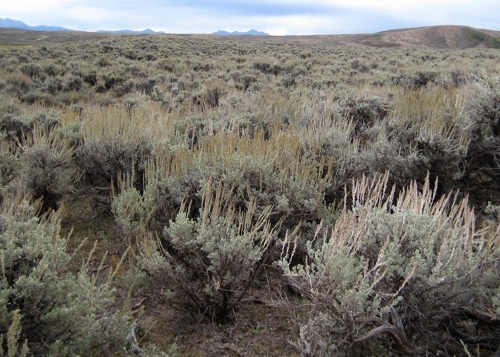 Well above the tree line, the vistas and views are breathtaking. Had we not seen any birds, the hike alone would have been worth the effort. This is a different kind of hunt. 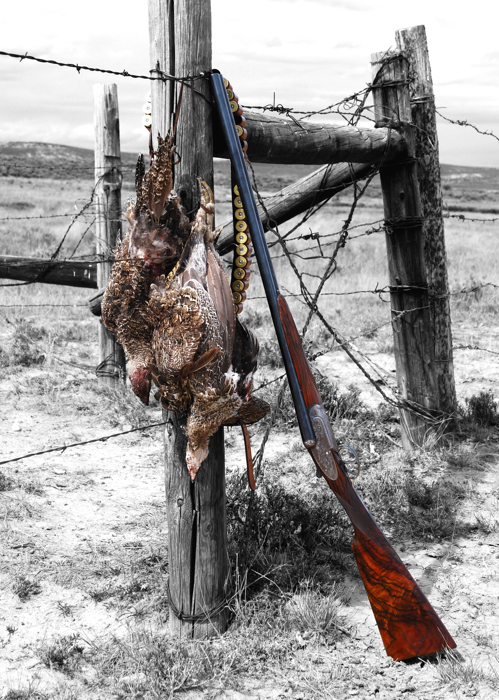 Most upland game birds stay well concealed in the bush and when you get close (and sometimes when you aren’t close at all) they flush providing an opportunity to exercise your finely tuned wing shooting skills. Not these guys. They sit out in the open and watch you approach with only casual interest. You can look at the covey and count them, pick out the one you want, take a picture and then push into them to get them to fly. Some will take off, which is fun, but others will just run a bit and then sit and watch. 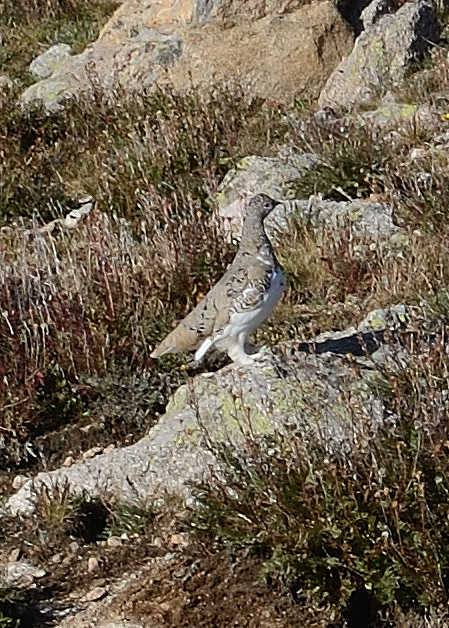 Ptarmigan are beautiful and delicate creatures. They are much smaller than I expected. Their bodies are about the size of a large dove but their thick coat of down and feathers make them look larger. In hand they are incredibly soft and feel almost mushy. 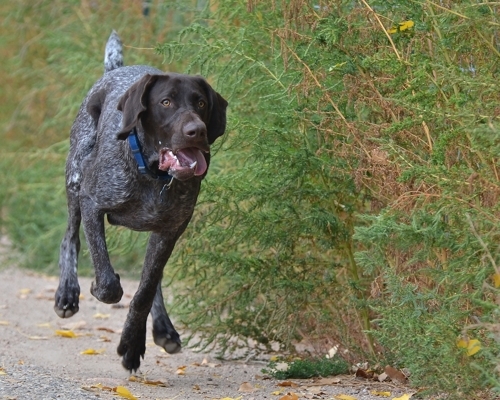 I don’t think they put out much scent or at least scent that dogs associate with game birds. Bird dog Rio never really lock up on them and the points we did get were sight points, I think. We had 10 or so right in front of us and she paid them little mind, she was off looking for something else. Possibly the altitude has something to do with that or maybe I had a defective dog. We had a good time hiking at the top of the world but the hunting was not as challenging as hoped. Possibly if we hadn’t found birds in the first 30 minutes and had hiked all day I would have a different story. The biggest challenge on this hunt was to not scar an expensive shotgun as we negotiated some very rough terrain while operating on 25% less oxygen. We lucked out with perfect weather (a week later all this was under a foot of snow) and it was certainly great to be out there. 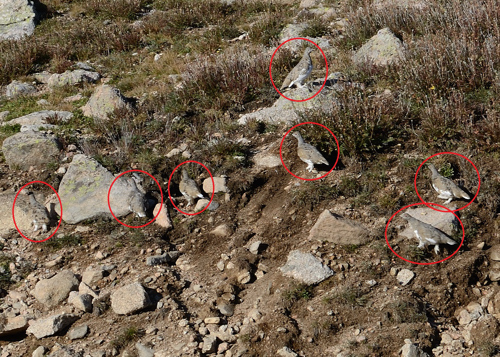 Ptarmigan have been added to the annual hunt calendar. These birds are perfectly camouflaged for their world. If they didn’t move it would be easy to miss them. 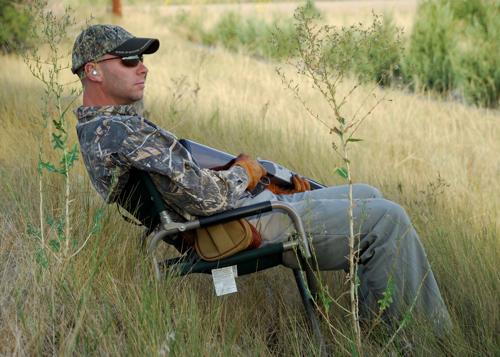 This year it was a perfectly comfortable morning for the opening of dove season in northern Colorado. The day heated up fast but remained pleasant and bug-free if you stayed in the shade. We topped out in the mid-90s, which is hot for us but pretty nice compared to our sweaty friends in states south of us who hunted in 100+ degrees. Hope they kept their dogs watered. 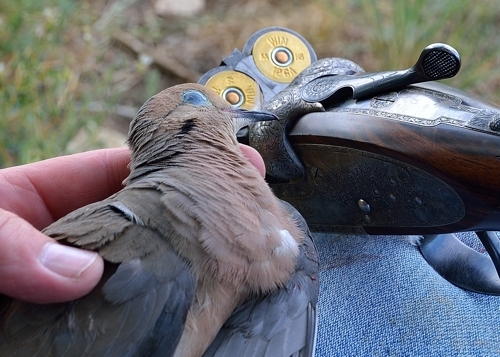 In Colorado there is a reliable and unfortunate pattern to the dove migration around opening day. We see dove everywhere all summer long – perched on wires, cooing on roof tops, swooping from tree to tree and pooping on my truck – but sometime a week or so before 9/1 they disappear. This is usually attributed to a late August cold snap but this year it was hot up to the 1st and yet their pattern of disappearance still held true. I had not seen a dove for a week when we headed out on Thursday morning. We hunted with the nice folks at Longmeadow. They have about 4,000 acres and have built a really nice event center about an hour and a half northeast of Denver. Though the number of birds were greatly diminished from a week or two ago, there were still plenty around for us to get our limit, which we did before lunch. It was not what you would call solid white hot action but there were times when we had more birds coming in than we could handle. It was a great start to the bird hunting season. My hunting buddy enjoying a morning of truancy. 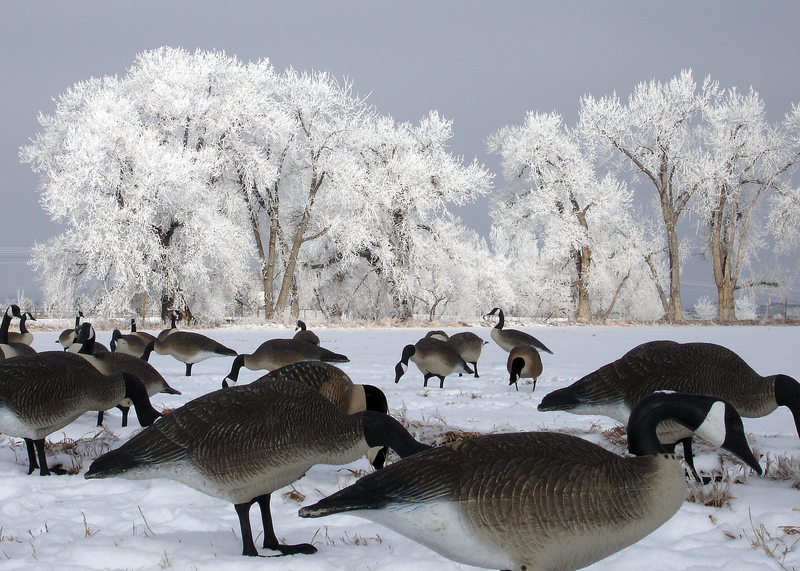 While freezing in a Colorado pit blind, waiting for waves of geese to show up, the sun peeks over the horizon behind us and illuminates these ice-covered trees.